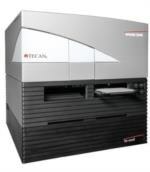 Tecan is a leading global provider of automated laboratory instruments and solutions. Their systems and components help people working in clinical diagnostics, basic and translational research and drug discovery bring their science to life. 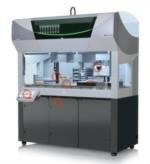 In particular, they develop, produce, market and support automated workflow solutions that empower laboratories to achieve more. Their Cavro branded instrument components are chosen by leading instrumentation suppliers across multiple disciplines. They work side by side with a range of clients, including diagnostic laboratories, pharmaceutical and biotechnology companies and university research centers. Their expertise extends to developing and manufacturing OEM instruments and components, marketed by their partner companies. Whatever the project – large or small, simple or complex – helping their clients to achieve their goals comes first. They hold a leading position in all the sectors they work in and have changed the way things are done in research and development labs around the world. In diagnostics, for instance, they have raised the bar when it comes to the reproducibility and throughput of testing.